Latune and Kiara are bright and passionate teenagers. Latune is the more artistic of the two — she plans to become a professional fashion designer. Kiara is the more pragmatic one — she’s set on becoming an anesthesiologist. They both have career plans carefully laid out, and are determined to get to college and out of their neighborhoods. Both girls, who are being identified by only their first names to protect their privacy, also have a history of finding trouble. Last school year, 17-year-old Kiara got into a fight at school, over a Facebook post about a boy. It wasn’t her first fight either. Latune, 16, has a past that includes fighting and an arrest for shoplifting from a department store. What happened after the girls got caught is where the similarities between them end. Kiara lives in Connecticut, where a massive statewide criminal justice reform effort has fought to keep kids out of jail. She hasn’t seen a jail cell yet. Instead, she has benefitted from multiple “second chances” from sympathetic juvenile justice review boards, hours of therapy and help finding summer work. Latune, who lives in New York, has been arrested three times and charged with several crimes. She has bounced from school to school, searching for support in an education system that seems intent on pushing her further from graduation and closer to the criminal justice system. If she gets arrested again, the stakes will be higher. New York is one of two states that always prosecutes 16- and 17-year-olds as adults. Their stories highlight a tragic reality of America’s youth incarceration system — where you live dictates how you’re treated. The difference matters. Getting involved with the justice system is one of the fastest ways to end a teenager’s potential for becoming a successful adult. Being jailed as a juvenile makes a kid less likely to graduate from high school and more likely to be incarcerated later in life, according to a 2015 study published by the National Bureau of Economic Research. Latune says it all started in middle school. Whenever her twin sister and cousins got picked on — they all went to the same school in Brooklyn — she rushed to their defense. She saw herself as a guardian, but the school quickly labeled her a bully. To make matters worse, she says a security guard who had a negative history with her brother started targeting her and calling her names. She was arrested the first time following an after-school fight when she was 13, she says. Then she was arrested twice when she was 14, according to legal documents. So it’s hardly surprising that Latune talks about her childhood with the distance of an adult looking back on a time long ago. After the first arrest, Latune says she was shuttled to the nearby precinct and handcuffed to a pole. The cops thought she was a boy, she says, because she wears her hair short, which led them to treat her harshly. Latune says officers scoffed at her when she told them she was a girl, making jokes about her clothing and appearance. The jail where she says she was held did not return a request for comment. She was arrested again a year later, after she got in a fight with a manager at a store. The most recent arrest, around 18 months ago, occurred when she got caught with a group of kids who were stealing from a Saks Fifth Avenue store, although Latune says she didn’t steal anything herself. She was originally charged with grand larceny, which eventually got dropped down to petty larceny, and then trespassing. She was given a year of probation. Latune finished the year of probation with no problems, before her critical 16th birthday in June. 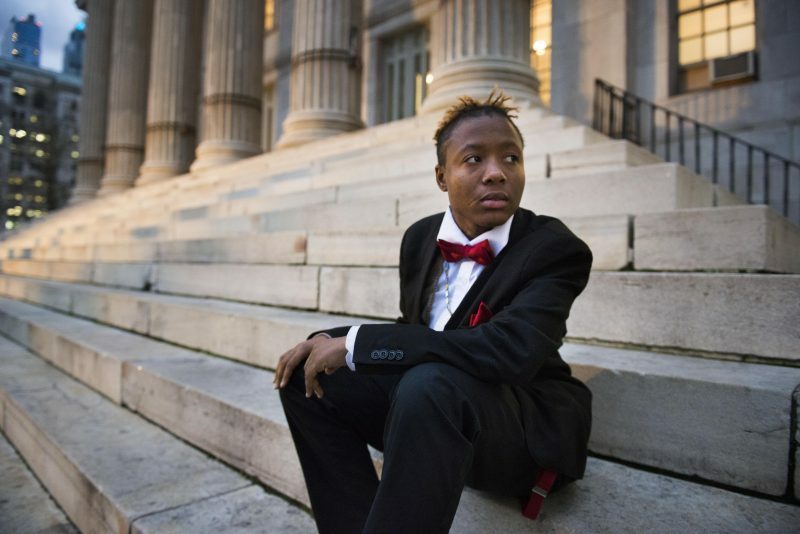 Even as most of the nation has moved toward treating 16-year-olds more like the kids they are, New York’s archaic justice laws make it easier for teenagers like Latune to end up in tough jails with long sentences and an inescapable record. If she gets arrested again, the consequences could be far more severe. Latune’s story stands in stark contrast with that of Kiara. The two girls live an 80-minute train ride away from each other, but the responses to their respective misbehaviors seem worlds apart. Kiara was involved in a brawl in a school hallway that was fast, furious and, like so many others, inspired by a Facebook post. A girl had posted a photo of another girl cozying up to a boy who was somebody else’s boyfriend. Teenage tempers flared. The fight left four students scratched and bruised, their book bags strewn across the hallway floor. The police were called in after administrators pulled the students apart, and all four of them, including Kiara, were charged with disorderly conduct. But unlike thousands of young people who go to schools where administrators have cracked down on violence, she wasn’t arrested. Instead, the Bridgeport Police Department sent all four students to a local probation supervisor, who in turn sent them to a local youth support agency. But not one of the adults involved in the process wanted that. The process, sometimes referred to as diversionary justice, didn’t happen by accident. School districts around the country are being accused of funneling kids from schools to juvenile jails at an alarming clip, but Connecticut has worked hard in recent years to reverse course. The state consolidated everything related to youth crime under one roof and passed a series of laws during the 2000s to reduce the number of incarcerated adolescents, all without spending additional money. While the systems around Kiara were taking pains to make sure she got the support she needed, Latune had already spent years experiencing adult repercussions. Latune recognizes that she may have been too quick to get violent in the past, she says, but that doesn’t mean she believes her actions were met with appropriate consequences. Her brain is still developing, and she says her life experiences could have broken her down if she wasn’t so mentally tough. The 16-year-old has seen more than most people her age, and more than she hopes her five younger siblings ever have to see. After Kiara got in her school fight last year, the systems around her prevented her from falling through the cracks. Students in Connecticut who act up get access to counseling, summer jobs, after-school activities, mentors and medication. Communities have defunded programs that contribute to the school-to-prison pipeline. For example, officials in Bridgeport, Connecticut’s most populous city, have limited the number of police officers inside schools, and have discouraged them from arresting students. Even after the deadly elementary-school shooting in nearby Newtown, the district resisted the urge to become more punitive. Research shows that police presence is connected to higher arrest rates for a range of infractions, including disorderly conduct and vandalism. The result: Connecticut, once a national leader in youth incarceration, has seen the number of jailed children drop dramatically. Graduation rates went up; chronic absenteeism went down. There were fewer expulsions. And after a 2007 decision to raise the age that young people can be tried as adults, from 16 to 18, the state has also reduced the number of teenagers heading to adult prisons. Child advocates say that, while imperfect, the collective effort of judges, educators, attorneys and state lawmakers has helped the state rethink its relationship to teens who get into trouble. Instead of sending kids to juvenile jails, they send them to a juvenile review board. The board had seen Kiara twice before. Both prior incidents were for fighting, including one for spraying mace on a boy who had spit on her. Thanks to a neurological evaluation taken after her first two incidents, the board had a nuanced picture of Kiara’s life and challenges, and didn’t just see her as a faceless kid with a violent streak. She suffers from depression and anxiety. She struggles with self-control. Her self-esteem is low. 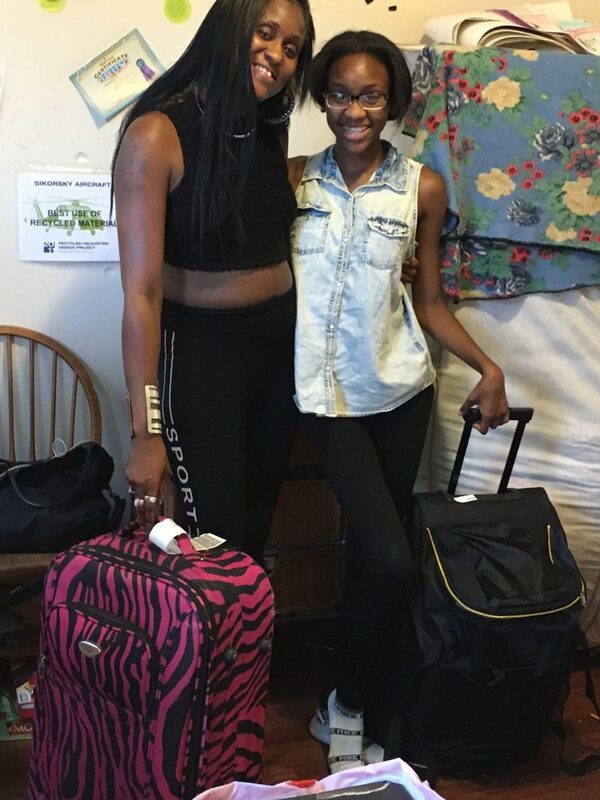 “She needed more support,” said Jessica Lopez, Kiara’s caseworker, who helped her sign up for a summer school class, hooked her up with a Bridgeport nonprofit that helps young people get summer jobs and counseled Kiara to spend more time with her family. Justice Policy Institute research shows the path Kiara might have followed if she were in another state: In neighboring New York, 800 16- and 17-year-olds are locked in adult jails and prisons on any given day. But Kiara went to summer school to earn extra credit in English. She studied SAT words and basic grammar and learned how to write essays about current events. She had a bumpy start to her senior year. 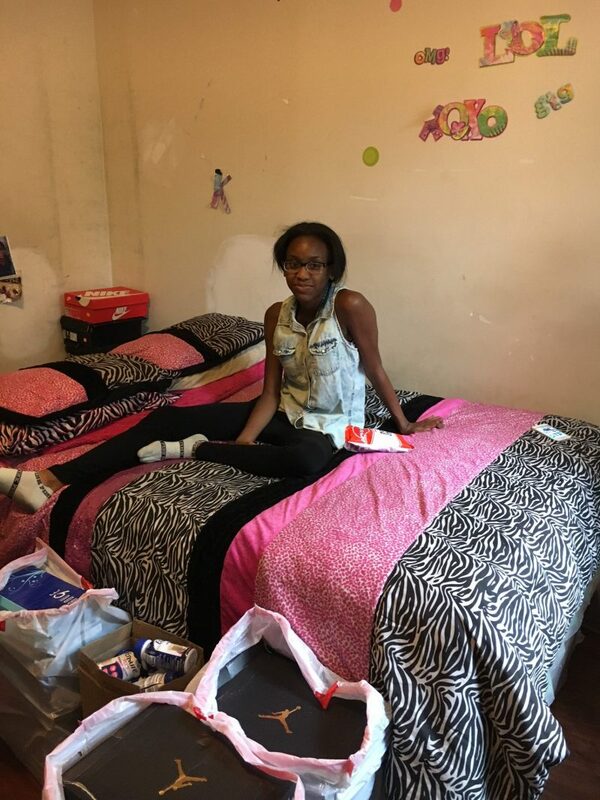 In an attempt to give Kiara a clean slate, her mother sent her to live with family in New Jersey, but her school there wasn’t a good fit. 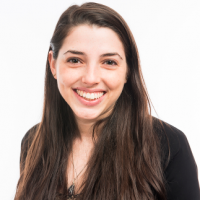 Six weeks later she returned to Bridgeport to attend a small, tight-knit alternative school for students struggling to stay engaged with their studies. Kiara says she is hopeful about her future and excited about spending her senior year at a new school. She has applied to college and is waiting to hear whether she has been accepted. “This is a fresh start,” she said. Latune is charismatic and colorful, which helps adults take a liking to her. After her last arrest, she was presented with an opportunity. 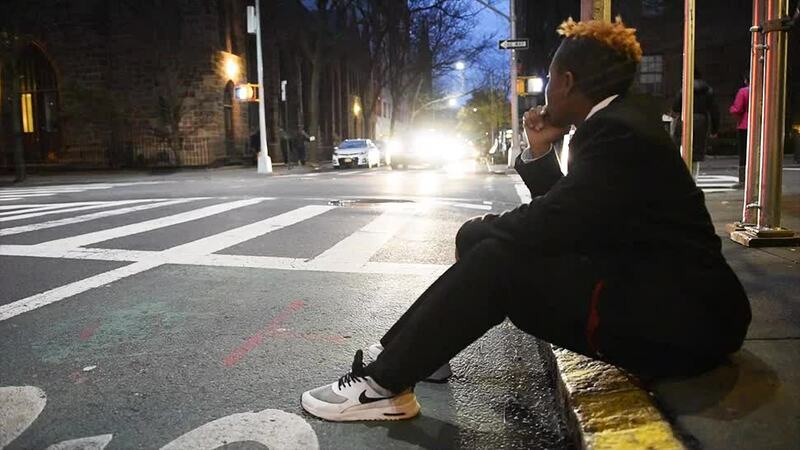 In spring 2015, a case worker referred her to a nonprofit in Brooklyn called Exalt, a small after-school program that supports court-involved teens. Through Exalt, Latune took classes on topics like financial responsibility and job readiness. The program also educated Latune on some of the issues that have affected her life, like the school-to-prison pipeline, and helped her get an internship with a local sculptor. The set-up was fitting for Latune, who designs clothing, draws, takes photographs, dances, sings and raps. She goes to school wearing outfits she designed herself, accenting her looks with hand-crafted items like iron-on designs. She says she would love to attend a school like Juilliard, where she could stretch her creative skills. Even after graduating from the Exalt program a few months later, Latune has stayed deeply involved with the organization and its leaders. 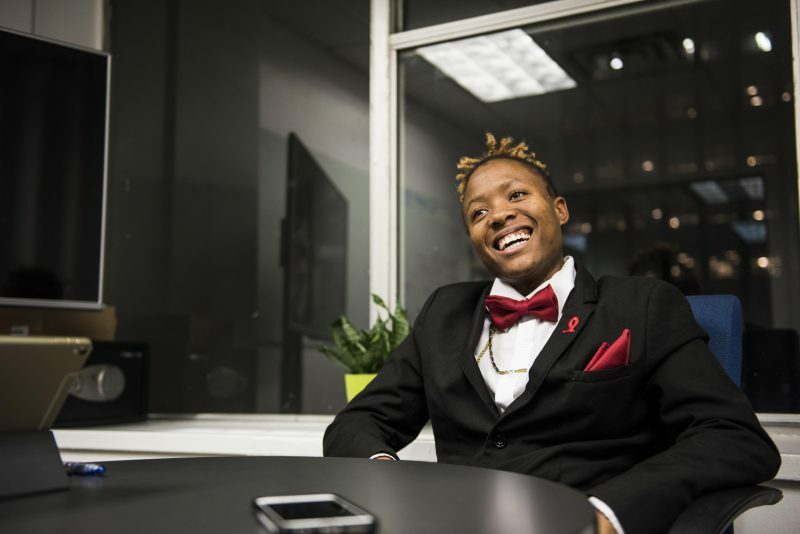 The program’s deputy director, Jolanda Porter, spoke with Latune about her future in early December in the organization’s offices and told the teen she could be anything she wanted to be. “You’ve earned the opportunity to be a voice,” Porter told Latune. The hope is that Latune stays on a track that will make her dreams possible. But Latune sees the silver lining. She says her experiences have made it easier for her to educate her peers about some of the issues facing her community. She says she has “evolved” since participating in the Exalt program.